Well almost everywhere you look there's trouble. GFS and ECM now have at least two storms looking very bad for next week, and tomorrow's storm doesn't look too clever either. The storm for Tuesday may slip south - I wouldnt want to say 'luckily' as it would simply mean someone else gets the trouble instead e.g. Northern France - still too far out to pin down the exact path. Certainly when Ian F said these were 'almost unprecedented' times, next week really does look like that now. Only glimmer of hope is the UKMO which keeps the pattern slightly further back west and hence the really severe stuff back out at sea. But if people had the opposite view, they would be shot down by dozens of people on here. I'm sorry but the signal is a red herring here as the models at the troposheric level struggle to accurately portray the downwelling of the strat warming. 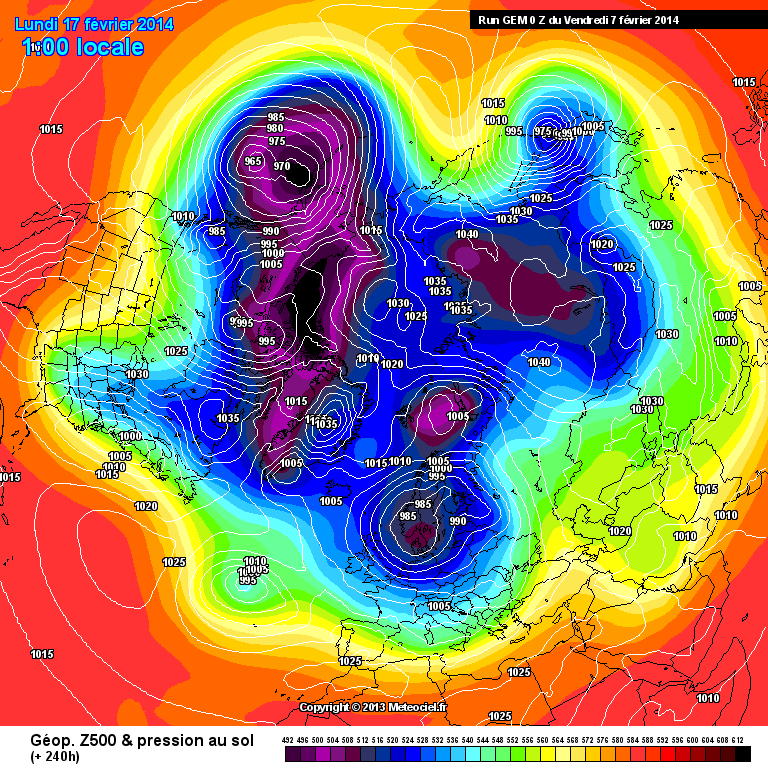 As many on the strat thread have said, the warming caused a temporary split for which it's effects lower down are not playing ball to remove the Canadian lobe of the tropospheric vortex, for which it's mere existence means a flat mobile westerly jet is more likely to be the outcome as opposed to an amplified Atlantic and any blocking which helps the UK. Taking any detail is worthless here but compare the Canadian/Greenland region with previous runs and ensembles. Simply put that massive, dominating lobe of polar vortex was not present to such an extent as it is now. It's not going away and still looks pretty strong compared to output over the last week which tried to remove this. 5 days ago the 2 storms now forecast for next week didn't exist with a slacker calmer pattern showing over the UK, which is now being shown to be wrong. I hate being the ghost at the feast but this is how I feel about where we are going. Best shot of any wintryness is from the westerly in any significant polar maritime flows. This for a + 120 chart !! and the GFS isn't a million miles away either. Normally when this sort of pressure system gets modeled to run through the NW Tip of France, it gets modeled further and further south on subsequent runs and looses intensity so by the time it actually comes to pass it's not as bad as it once looked and the UK ends up on the rainy side !! But what made me stand up and pay attention to this was the UKMO + 120 chart, which has the entire thing well north of the UK and much more inflated. If you was to take these 2 models and say that the system ends up in between them, the whole of the South of the UK would be in the firing line. I await the 06 and 12 z runs with baited breath, but wouldn't be surprised to see this fall in line with the UKMO prognosis, which itself bodes bad news in particular for the rain. Incredible weather, this country will grind to a halt if this continues into April, which as we all know is notorious for being wet !!!! Looks like rain and more rain to me, the deep low Saturday looks really bad and the models are persisting with the idea of another nasty feature mid week, track and intensity still up in the air. 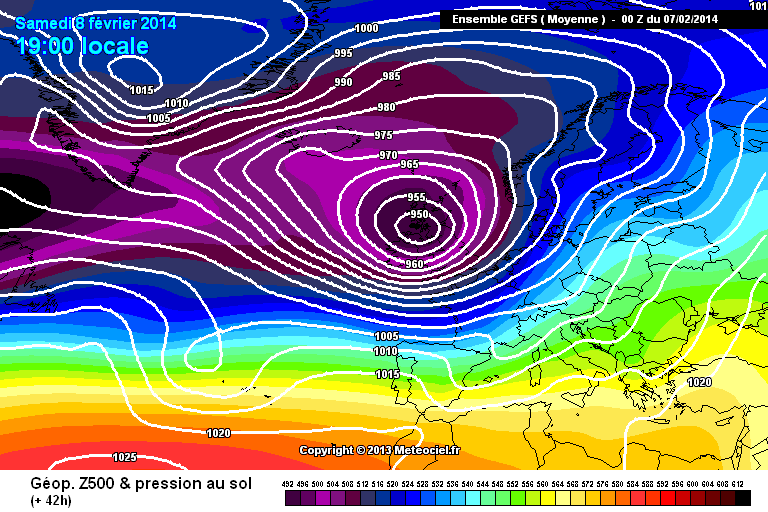 No sign of a proper cold spell before the end to Feb, although some will see some snow. 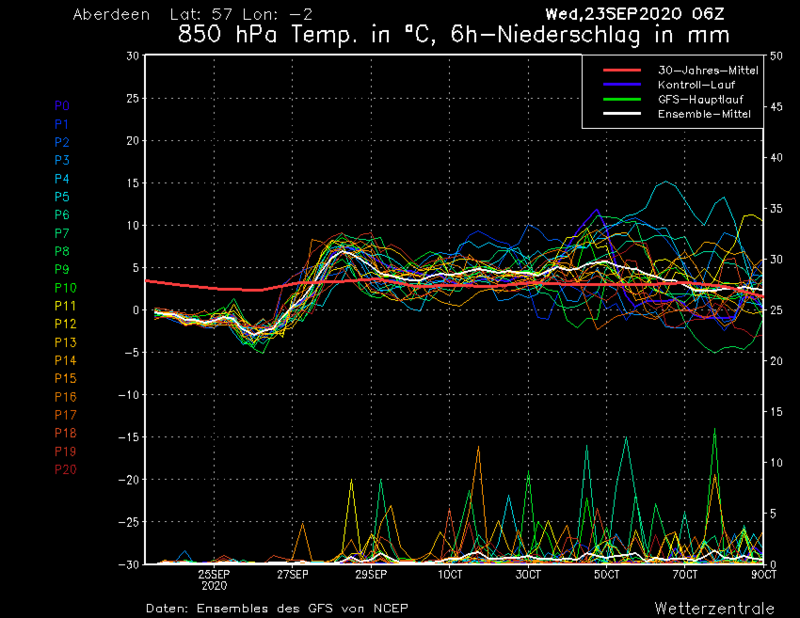 Certainly the METO who have been excellent all winter only see a zonal month ahead. Itâ€™s all very well being good at interpreting how the synoptics could develop outside of what the models are showing itâ€™s a great skill, unfortunately real events keep kicking any ideas of a pattern change into touch. What happens most of the time is that broadly speaking the models are better than they are given credit for. Look at this winter the models have never really gone for a cold spell in any meaningful way and they have turned out to be right. Personally I wonâ€™t write off the possibility of a cold spell for a good few weeks yet, last year proved that but I would put a small sum on us not seeing anything of real note cold wise this month and then hope Iâ€™m wrong. It's been a difficult winter that's for sure , the models have twice gave led us up the garden path for longer than a few days. First one was the failed northerly for the first few days of December , and the second was the failed easterly a few weeks ago . 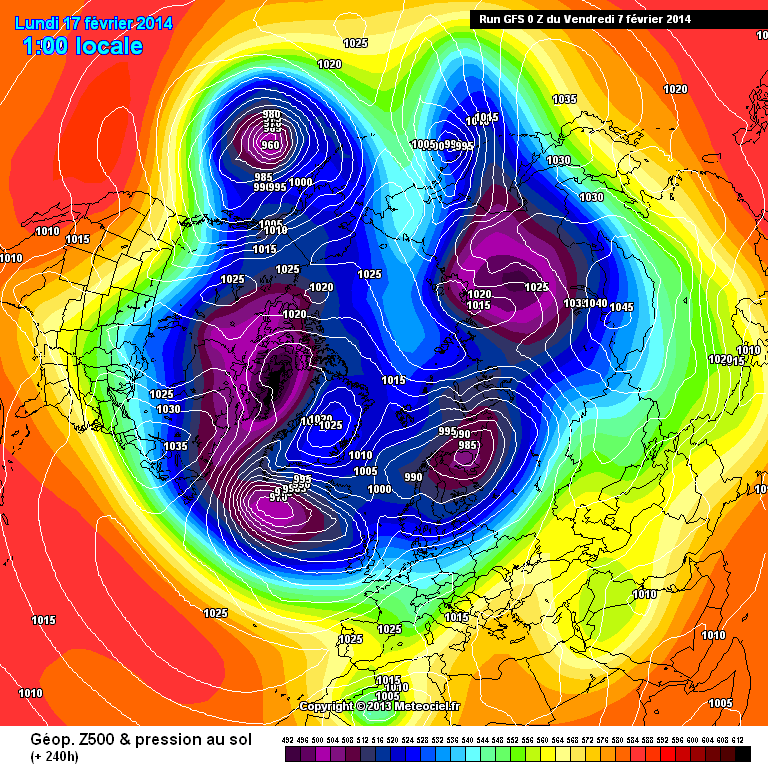 But I'm absolutely amazed by the strength of the Canadian vortex this year and in turn the jet stream. Iv never known a winter like this before , Iv read that 89/90 was similar but I was 7 then and can't remember . But I have to say on a personal level it's a horrible , disgusting excuse of a winter , and If we have more winters like this on a regular basis il seriously think about moving abroad . Everywhere else in the world at 50* north (estimate) has cold winters , warm sunny summers. We have cool wet summers , mild wet winters. And been a weather enthusiast it actually gets me down . Let's hope this next 10 years as we head toward a solar minimum we have the jet stream go quiet and in turn more continental winters because this is unbearable , especially for those that's had there lives ripped apart from the flooding and damaging winds. Even the ducks have had enough rain now and are quacking in protest but these charts will ruffle more feathers during the next 10-15 days with a seemingly endless supply of vigorous depressions taking aim at the uk, at least it won't be mild. Is there a bright side to all this carnage?...no..but at least today brings brief respite with a relatively drier and brighter day and less windy but again it's only the calm before the next storm with more heavy rain and strengthening winds sweeping in from the southwest and as if that's not bad enough, tomorrow brings severe gales and bands of heavy showers, especially to the areas worst affected with more huge waves and winds gusting to 60, 70 & 80 mph, on sunday it will be windy and showery but not as bad as saturday...however, it looks like even more stormy weather is on the way next week. Edited February 7, 2014 by Frosty. The PV gets lost in April. 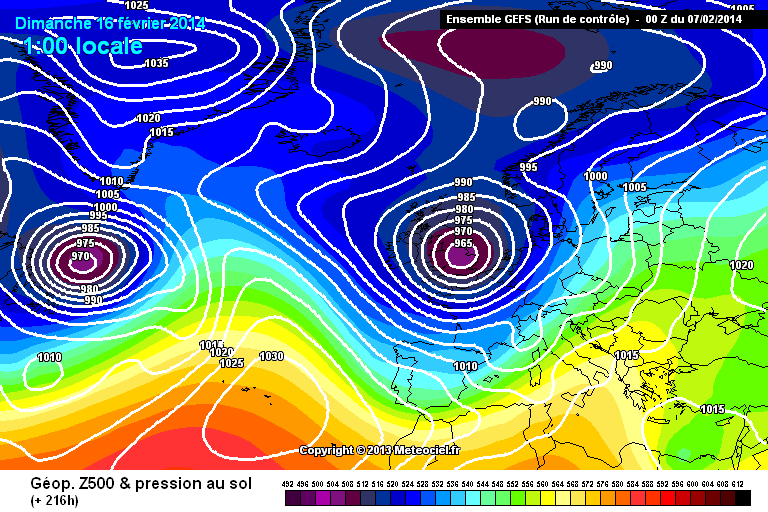 Tomorrow's GFS mean chart for the storm: Takes a day to clear the country. As you say though will definately change before then. Im dreaming has posted the London equivalent above. This is now a serious candidate for the most dismal winter in history. 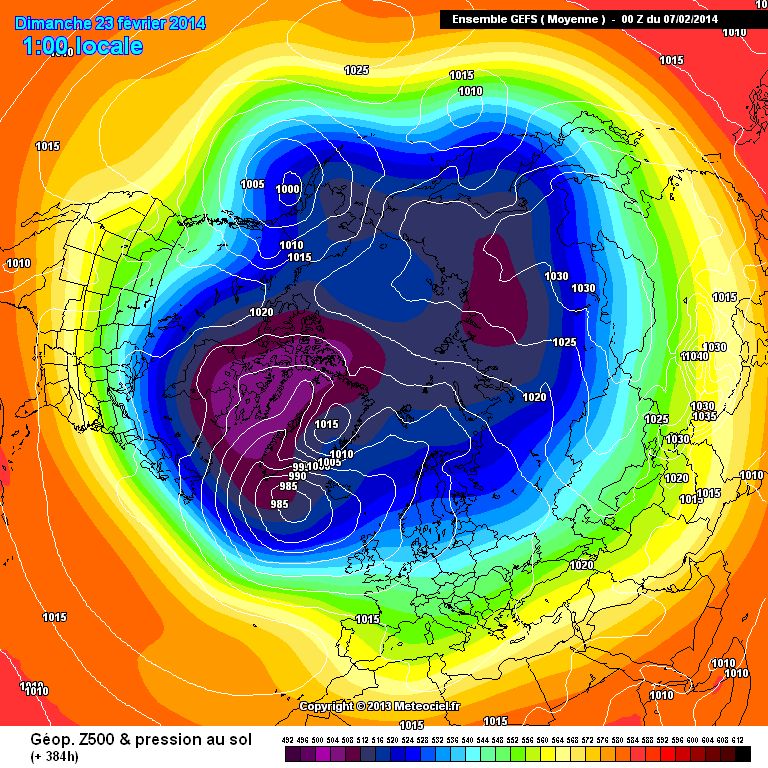 Nothing on the models to suggest anything but more of the dire, monotonous, rubbish we have endured since November. Fascinating it is not - depressing it certainly is. Quite possibly rain BA but depends on your localehttp://en.vedur.is/photos/atlant_evr_urkomuspa/140207_0000_126.pnghttp://www.meteociel.fr/modeles/ecmwf/runs/2014020700/ECU0-120.GIF?07-12As you say though will definately change before then. I did check the track on vedeur and i missed the possible lee norwesterly over the sw. That apart, this particular op ecm doesnt look too bad for wind re that system for the uk.And as far as you are concerned in the hills, most definitely white. 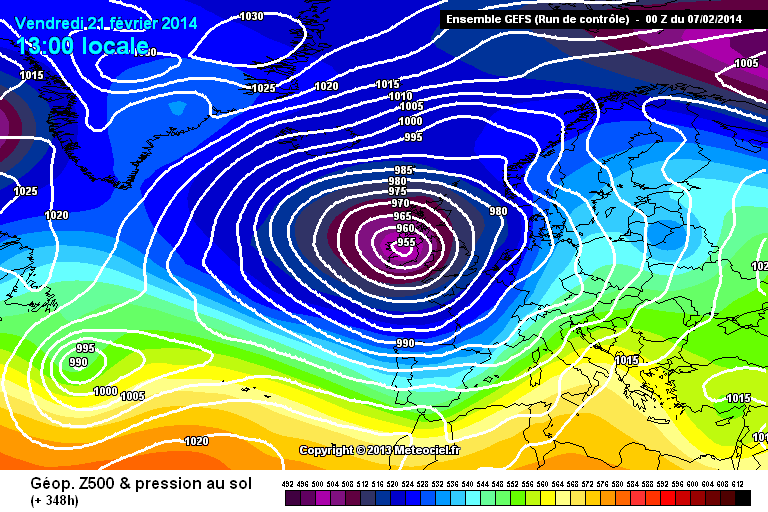 Infact this op run increases the chances of snowfall in the north of the uk through next week. Yes it is a cooler run than the 12z but i do not put much faith in verification this winter as we usually get a blend of the UKMO.I can but hope. I would say a bit of both! Fascinating as in how the pattern has been locked in for so long, and how strong the jet has managed to get (record levels I believe? ), and the records for the amount of wind, and the records for wave heights off the South West. It's been compelling viewing for all the wrong reasons, just hope that at some point in the next few weeks we get the other side of the coin, a nice sunny dry spring would go down lovely! Just wondering where the widespread snow is this morning? And of course lots & lots of rain. i do not recall a widespread snow call? However, it goes to show how much uncertainty there is wrt the disparity between the models and the path of the low. 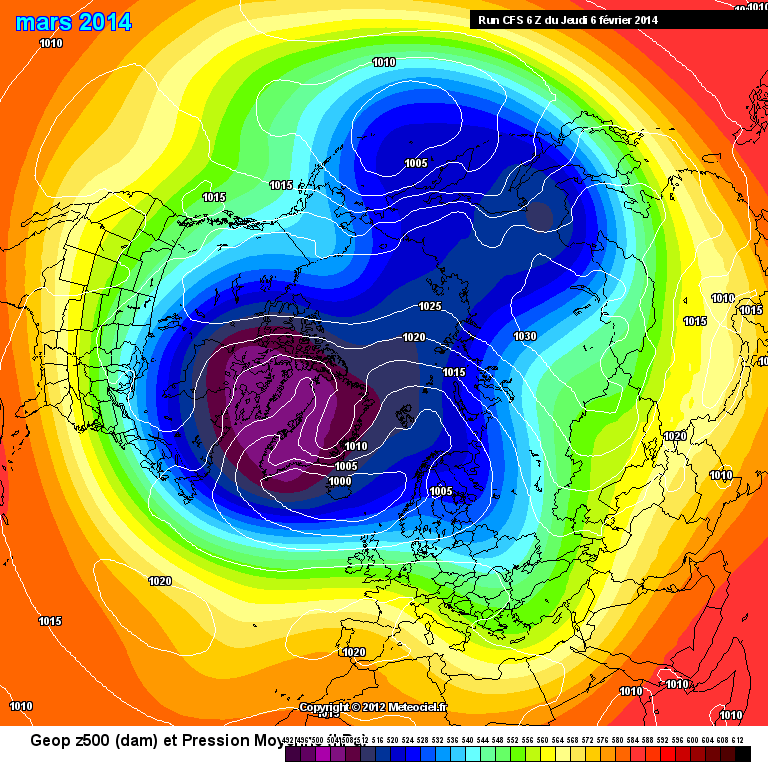 UKMO keeps the more northern extent closer in line with the overnight Fax chart. All models show a deep depression moving in from the SW during tonight replacing the embers of the current one leaving the East. as a result a quieter day with scattered showers will occur today ahead of strong winds and rain arriving after dark. By tomorrow the Low pressure will move slowly NE across Ireland to Southern Scotland with severe gales and squally showers of rain and hail with thunder, sleet and snow locally, the latter mostly over the hills. This weather type will last through Saturday with just a limited reduction on Sunday as the Low drifts slowly North and begins to fill. By Monday a less windy and showery day seems likely with some longer drier interludes between the showers, still wintry on hills. On Tuesday it looks like another Atlantic storm system will be pushing in from the West with a band of heavy rain and strong winds sweeping East once more. GFS shows the midweek period as unsettled and sometimes wet and windy as further Low pressure areas or troughs steam across from the West, a process which continues repeatedly through the entire remainder of the run. Temperatures will remain close to average or maybe a little below in the North with some snow possible over northern hills at times as a result. The GFS Ensembles remain largely unchanged from previous samples with a very flat pattern from most members hugging the 30yr mean line with further spells of rain and showers on a Atlantic windflow. There is something of a reduction in rain quantities very late in the run. UKMO this morning shows next Thursday with one low exiting the NE of Britain while another approaches the West with a squally shower mix early in the day probably followed by a drier interlude before further rain and gales push in from the West later in the day. GEM shows little change in the grand scheme of things with Low pressure well in charge over and around the UK with further showers and longer spells of rain and strong winds at times in generally average temperatures overall. NAVGEM today remains alarmist for those looking for anxiously needed relief from flooded areas as further intense depressions could run into the UK late next week enhancing the high rainfall totals of late with strong winds too. ECM is little better with another vicious Low next Wednesday near Southern England threatening storm force winds and more definitely heavy rain across Southern britain to be followed more heavy rain and blustery westerly winds out to the end of the run. The ECM 9 and 10 Day Mean Charts show little overall change with Low pressure still likely to be close to the North in 10 Days time with a Westerly flow with rain at times for all. The Jet Stream Forecast shows no change this morning with the weakening shown of yesterday less apparent today with the flow continuing to pump East across the Atlantic and over Southern Europe throughout the run maintaining the breeding ground for further Low pressure areas to run into the UK from the west through the period. In Summary I have to say that the current spell of this extremely volatile weather pattern which has been going since December 12th is unprecedented with absolutely no definitive sign of improvements shown within the next two weeks from this morning's output. There is total cross model support for a continuation of often wet and windy weather with copious rainfall and damaging gales in the next week. There may be some moderation in wind strengths through week 2 but rainfall looks set to continue on with further disruption which I fear could cause total devastation over the SW part of my County should this morning's charts verify. None of the above is surprising when on my little patch alone over 450mm of rain has fallen this Winter so far. We need some dry weather soon or parts of the SW of the UK are going to become a disaster area with major infrastructure consequences and life threatening lifestyle changes. 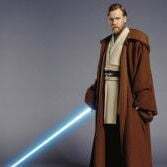 BA has never called for widespred snow, nor has any other posters for that matter, only chances over high ground, and maybe evap cooling for lower levels. This is now a serious candidate for the most dismal winter in history. Nothing on the models to suggest anything but more of the dire, monotonous, rubbish we have endured since November.Fascinating it is not - depressing it certainly is. Yes, very depressing - fascinating too, though. 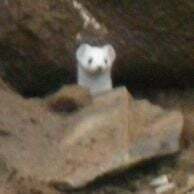 The fact that a beastie of Arctic origin, which normally resides over ice, is allowed south to roam over a vast warm ocean is a notable event in itself - for it to be so for months on end, is remarkable and fascinating from a scientific viewpoint. the weather this winter is acting like a stuck record. I agree with polar maritime, snow on hills and mountains is a good call, cold rain, gales and flooding to carry on for the majority. Perhaps more relevant to show the ensembles for the Highlands rather than Aberdeenshire in a north westerly? Just something I've noticed, people tend to automatically use Aberdeenshire, regardless of the set up. Can someone answer this as i don`t understand? Question from @julesm2211: If the stream stays in its current state, what effect will it have on the spring/summer weather? Chris answers: When the sun starts heating the northern hemisphere the Jetstream is bound to change position.  Why is it bound to change position? Wasn`t it the same with the jet in 2010 that stayed flat over us to then, so why is summer heating bound to change its position if it didn`t in 2010? What dreadful, dreadful charts this morning. I can see why governments would want to add weather control to their armoury of destruction, actually it doesn't even need to be so destructive, just relentlessly depressing and have populations suicide en masse. Even as a staunch coldie I would find it trivial to worry about snow chances diminishing next week rather than worry about the destructive winds and horrendous flooding potential that seems more likely. So Sunday's storm to get through which let's face it is just another Atlantic storm at this point (without trivialising it, it will be awful) and then who knows what next week will throw at us. It is still fascinating viewing from a weather enthusiasts point of view and no doubt we will all be looking at developments from the 10th that bit more closely in this evenings runs. This is certainly one of the most interminable winters I have ever experienced and with no end in sight it will probably go down as my most hated.